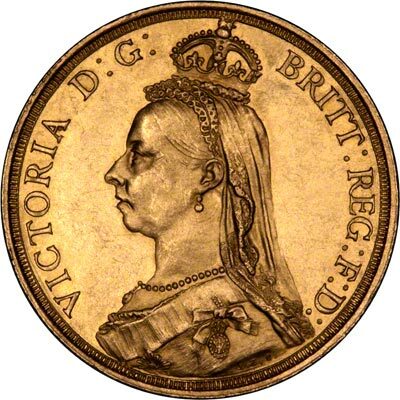 Warehamlen from Titusville, Florida, United States stole our 1887 Victoria Golden Jubilee Gold Two Pounds photograph to use on eBay, without our permission, to try to sell his own. It is totally dishonest. Image theft is endemic on eBay, and most sellers appear not to care whether their buyers are deceived. When we wrote this page, this eBay member’s feedback was 631 with 100% Positive Feedback according to eBay. 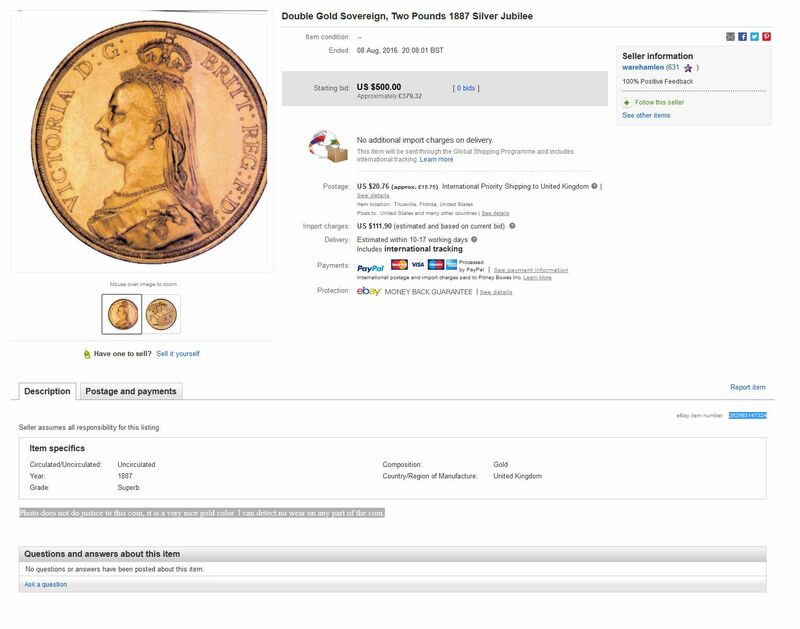 Many eBay vendors use our coin photographs to sell inferior quality coins on eBay. These eBay members are dishonest and should be avoided. We believe eBay profits from IP rights infringements (copyright theft), and does so knowingly, only removing infringing items reluctantly, if at all. We invest a great deal of time, effort, and cost into creating some of the best photographic coin and gold bar images on the internet. We strongly object when lazy and dishonest people decide to use them without a by your leave or thanks, doing so in competition with us. It is always possible, even likely, that sellers who steal photographs do not own a similar item, and have the intention to totally defraud potential buyers. Copyright theft is dishonest. We recommend you avoid doing business with dishonest dealers. The vendor is not only cheating us by stealing our copyright images, he is fraudulently or ignorantly misleading and deceiving all potential buyers. Gaining pecuniary advantage by deception is the definition of fraud. to believe that, by doing so, you are infringing copyright in that work. Photo does not do justice to this coin, it is a very nice gold color. I can detect no wear on any part of the coin. 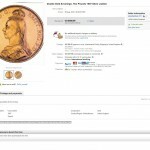 Even before eBay’s greedy 10% selling fees, and possible PayPal charges, the seller would almost certainly have been much better off selling the coins to us, instead of stealing our photographs. This entry was posted in Copyright Abuse, Ebay. Bookmark the permalink.